UPDATE 3/20/2019 – This 6 year old post is getting a ton of traffic lately, so it’s important I disclose that I DO NOT RECOMMEND trying to DIY your own sunscreen! To test and see if your sunscreen is even working would require a 20 person panel and at least $5,000. If you want a clean body sunscreen, Badger Balm has really great ones. For the face, Josh Rosebrook Nutrient Day Cream is really nice. Find me on ig @alexraye_ae if you have any questions! with summer pretty much here to stay (where i live at least haha) i’m gonna share with you how i’ll help protect my skin from the sun. i’ve also posted about sunless tanners if you haven’t checked that out yet. first, what’s the deal with sunscreen? in today’s society, we are so scared of getting skin cancer. we’re told to slather ourselves with sunscreen and to almost “hide” from the sun. skin cancer is the most common cancer in the U.S., with 3.5 million skin cancers in over two million people diagnosed annually, with ONE IN FIVE americans developing it in their lifetime. astonishing! just this year alone (2013), an estimated 3,170 deaths from nonmelanoma skin cancers will occur. and to top it off, about 90 percent of nonmelanoma skin cancers are associated with exposure to ultraviolet (UV) radiation from the sun. so to answer if we need sunscreen, we have to first understand if these suggestions to curb our sun exposure are of sound advice. to do that, we have to understand what the sun naturally does to the human body – increases the production of melatonin, serotonin, and gives us vitamin d. if you want to learn more about the positive effects of the sun, please check this gal out. my views on sun exposure align perfectly with hers, and i can’t express how pleased i am that she backs everything she says up with published research. i value that so highly, especially since i hold a Master of Science degree. everything i do to and for my body is well-researched, as it should be for you! my personal opinion is that responsible sun exposure, combined with a healthy lifestyle and eating habits, is ESSENTIAL to every human. i am NOT saying “hey, go get a sunburn! it’s okay!”… because it’s not. but responsible exposure is an important part of keeping your body healthy. supplements don’t replace actual sunshine. mix any of the above ingredients to make your own, depending on your SPF needs. essential oils can also be added! if you want to know how much of each powder to add, check this chart out. there are TONS of other recipes out there. TONS! here are my top 3: one, two, three. some use beeswax, but the easiest and just as effective will be the consistency of a tanning oil (and more creamier if you add zinc oxide or titanium dioxide). WHERE TO BUY INGREDIENTS: in your local health food store 🙂 or try here. almost 60% of store-bought sunscreens contain chemicals that disrupt hormones and that can cause cancer. CAUSE cancer. not prevent it. 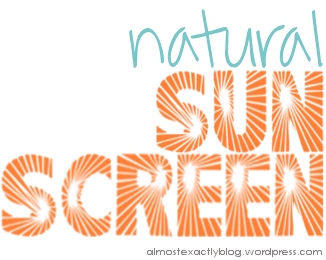 what do typical sunscreens contain? so now that you’ve decided to kick your sunscreen to the curb for a more natural version, how do you know what’s the best? 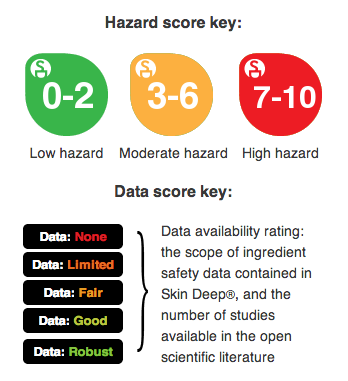 check on EWG, and make sure you’re not playing the “NUMBERS GAME.” what’s that, you ask? check out this article from CNN. Do you think I could use a mix of red raspberry seed oil, carrot seed oil, and coconut oil on my baby for the beach? Because you’re not supposed to use sunscreen on babies under 6 months, but my baby will be 5 months old and I still need to protect him from the sun somehow at the beach. Love seeing the information about red raspberry seed oil get out there! Our family produces it and distributes from here in Washington State.